Posted in Bright Ideas / Blog / Resources on April 12, 2019. Keeping on top of the ever-changing world of local SEO can be time-consuming. With dozens of excellent local marketers sharing their successes and insights, we’re privileged to have access to a broad community of local business experts. But with so many great publications and blogs out there, which ones should you be bookmarking? 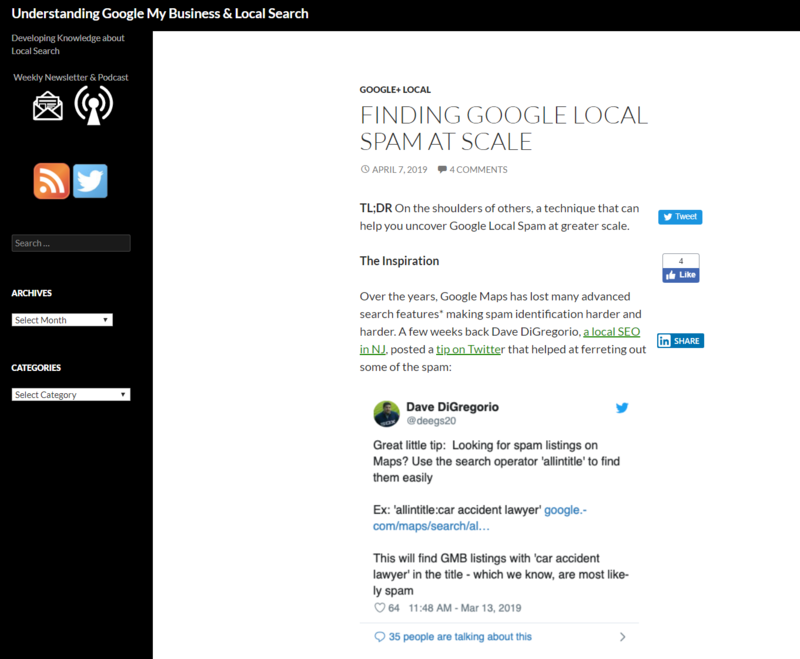 Each year we ask our customers, readers, and the wider local search industry to tell us about their 3 favorite local SEO blogs. We collate these results to create a comprehensive reading list of news, insights, and resources to help keep the industry up to date. These blogs don’t have to be solely focused on local SEO, but do need to be posting frequently on topics specific to local businesses. Thank you so much to the 370 marketers who voted for their favorites. Respondents each had 3 votes to use from a shortlist of 39 publications that regularly shared local SEO insights in the last year. If you think there’s anyone that deserves a place in next year’s Best Local SEO Blogs list, please let us know in the comments below. Well done to those topping the charts! A little token of our congratulations is winging its way to you. 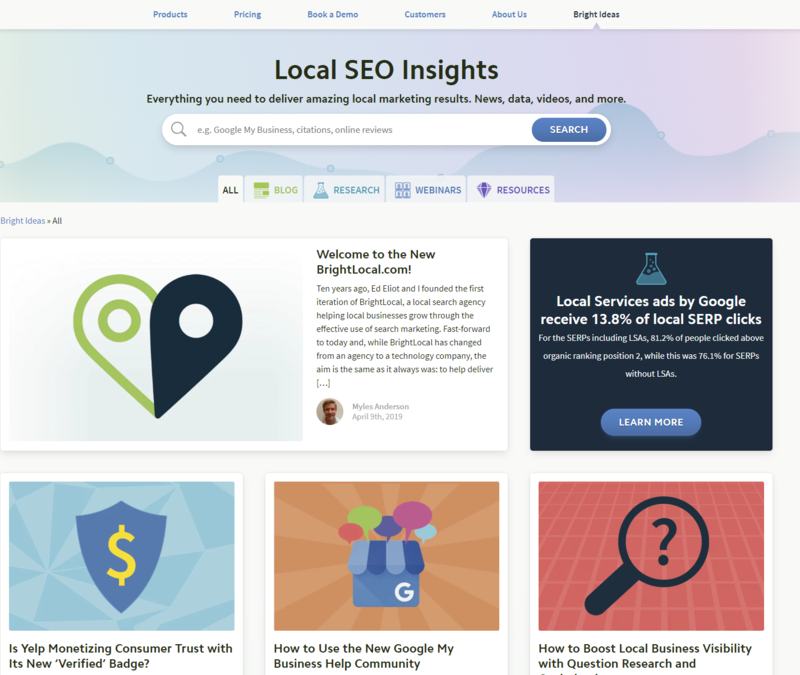 This year, the BrightLocal blog was the most voted-for source of local SEO insights and news. Of course, as this was promoted to our own email list and social media audiences to vote for their favorites, there is an ever-so-slight bias towards us from our existing readers (though it’s worth noting that when we last ran this poll in the same way, we came in at a lower, though certainly respectable 4th place). We contacted all of the shortlisted publications to let them know that the vote was open, and invited them to share the vote with their own audiences to really get the word out. 2019 is a really exciting time for the BrightLocal blog. In line with our all-new brand, we recently launched our content hub, Bright Ideas. For the first time, our combination of breaking industry news, useful resources, expert webinars, and widely-cited research is available to read in one place, and now takes pride of place in the top navigation of the site. In our content, we couple our own insights gleaned from the challenges of our customers with the wisdom of local SEO experts at the coalface. We’re incredibly grateful to our contributors for sharing their experiences with us. Our growing team has big plans for Bright Ideas this year, so make sure you’re signed up for our newsletter to receive the latest insights as soon as they’re released. And if there are any topics you’d particularly love us to cover, let us know in the comments below. The Moz Blog is an excellent resource for online marketers, chock-full of unique insights, research, and techniques for SEOs to try out. The broader Moz Blog releases regular, incredibly useful publications for experienced marketers, with Whiteboard Friday bringing inspiration at the end of every week. 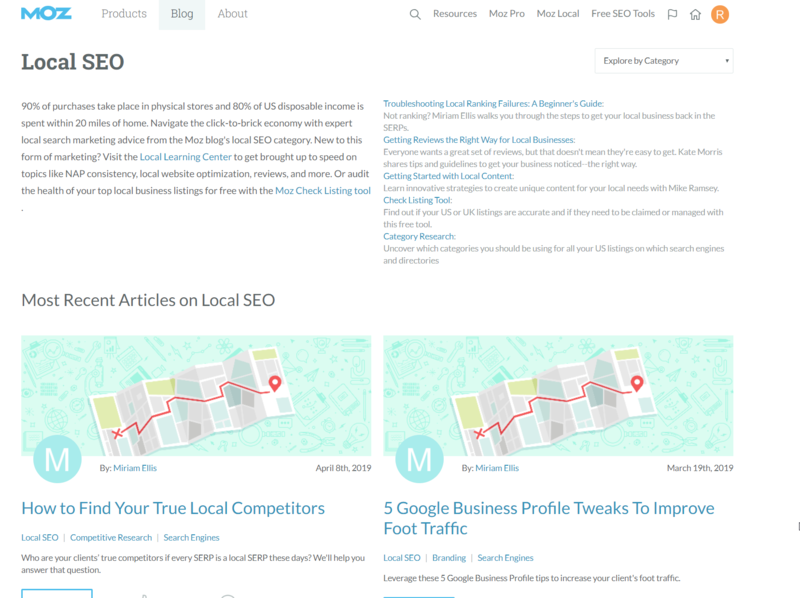 Moz’s Local SEO section releases regular in-depth looks into specific areas of local marketing. The section is largely led by Miriam Ellis, who frequently shares never-before-seen opinions and tests on tips to help local businesses and marketers alike. 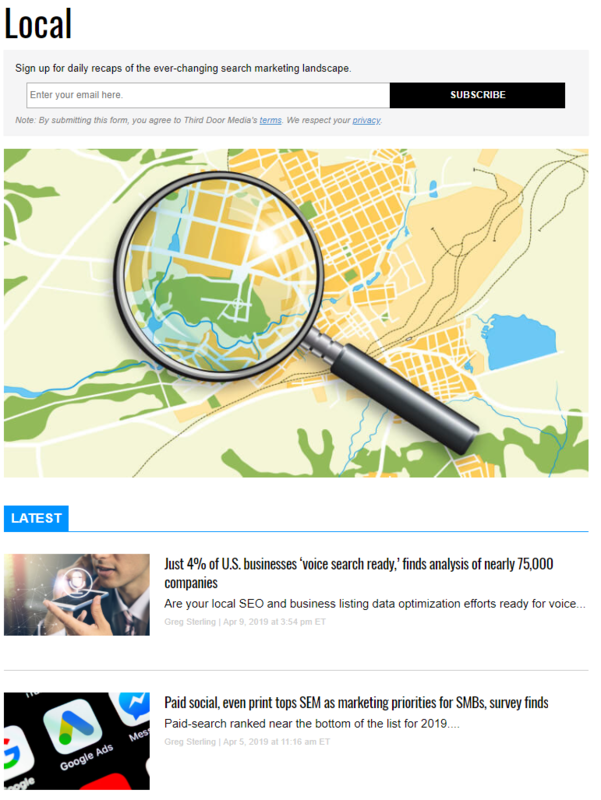 Local SEO experts including Ben Fisher, Dana DiTomaso, and Tom Capper also supply insights. And, of course, Moz is the home of Darren Shaw’s useful yearly Local Search Ranking Factors Survey, a vital tool for every local marketer. Miriam and the team of contributors publish 1-2 posts per month. 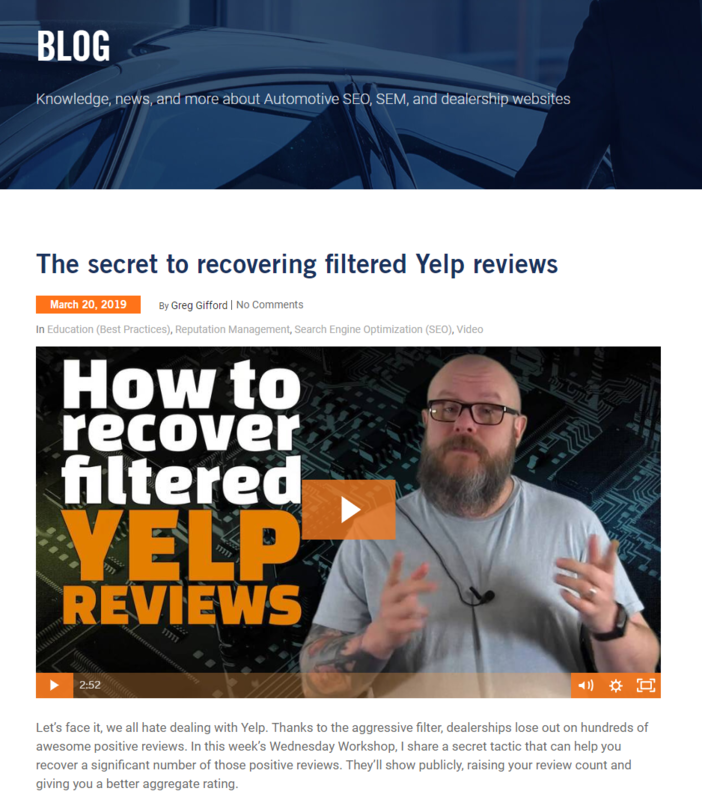 Led by local SEO celebrity Greg Gifford, DealerOn’s blog focuses on knowledge and news for their audience of car dealerships and automotive businesses. But it is also an excellent source of inspiration for a broader audience. Last year’s winner of our Top Blogs poll, DealerOn’s content often comes in the form of a video, with a handy transcript for those that prefer to read their blogs. Greg and the team get straight to the point, offering practical tips and tricks that local marketers may not have thought of – particularly around getting the most out of Google My Business. When he’s not sharing his secrets at conferences, Greg releases a Wednesday Workshop video each week. Are You Responding to Reviews the Right Way? Mike Blumenthal’s blog, Blumenthal’s, regularly publishes data-based case studies, breaking news, and new tactics to try out based on Mike’s years of local marketing experience. Mike is never one to mince his words, and frequently shares his frank opinions on what must be done to improve the local SEO industry. Of course, Mike is also seen sharing his insights on Local U’s ever-useful ‘Last Week in Local‘, as well as on the GatherUp blog. Blumenthal’s often delves into brand-new topics, offering a fresh perspective on issues never before discussed in the industry. Mike is often the first to identify a new trend, and provides unique commentary and experience-based evidence that really helps his audience know which steps they should take. Blumenthal’s is updated when Mike has spotted something new, around once per month. Google My Business Deprecating SMB – Caught in the Google Messaging Cluster F%#K? Reserve With Google – Which Categories and Services Are Eligible? Search Engine Land is one of the most important sources of news for the search industry, with an extensive section for local news and insights. For many, Search Engine Land is the place to go for breaking SEO news. It also frequently publishes thorough case studies from our industry’s excellent local search experts. Search Engine Land’s large circulation means that local trends are seen by a wide audience, which can be really useful in alerting others to the issues affecting local SEO today. Search Engine Land published 3-4 locally-focused articles each week. The top 20 local SEO publications below are based on those who received the highest number of votes from respondents. Did your favorite local marketing publication make the list? If you have any suggestions on who should make the 2020 shortlist, let us know in the comments below!